Parents have branded a council "inconsistent" after rejecting over half of requests to defer the start of school for summer-born children. Warwickshire County Council granted all 80 requests over the previous three years, but this year 17 of 31 applications have been refused. Parents of children born between April and August can apply for their child to start reception class a year later. The authority said is not able to comment on the opinion of individuals. 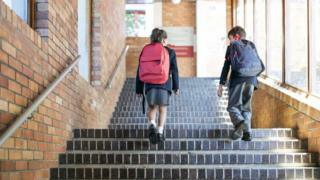 The council's own guidelines say parents wishing to defer must provide supporting evidence and signed approval from the head teachers of preferred schools. Helen Leavitt, from Leamington Spa, said her application for three-year-old son, Jack, was turned down despite her following the guidance. The rejection letter said her submission did not evidence that her child was not meeting the required milestones, despite a supporting letter from a head teacher, she said. "We wanted that extra year for him to be readier for school," she said. "I think it's very inconsistent this year." Parents cannot appeal against rejections, but may submit a formal complaint. Amanda Fletcher, from Marton, said her application for her July-born son Elliott was refused, then granted after she complained. "This year has been a bit of a shambles," she said. Parents worried their applications were not handled correctly have now formed a campaign group. A council spokesperson said it received five complaints this year regarding deferring summer-born children and was unable to comment on "the opinion of individuals". Are the school odds stacked against summer babies?